A very quick blog post to say a heartfelt thank you. 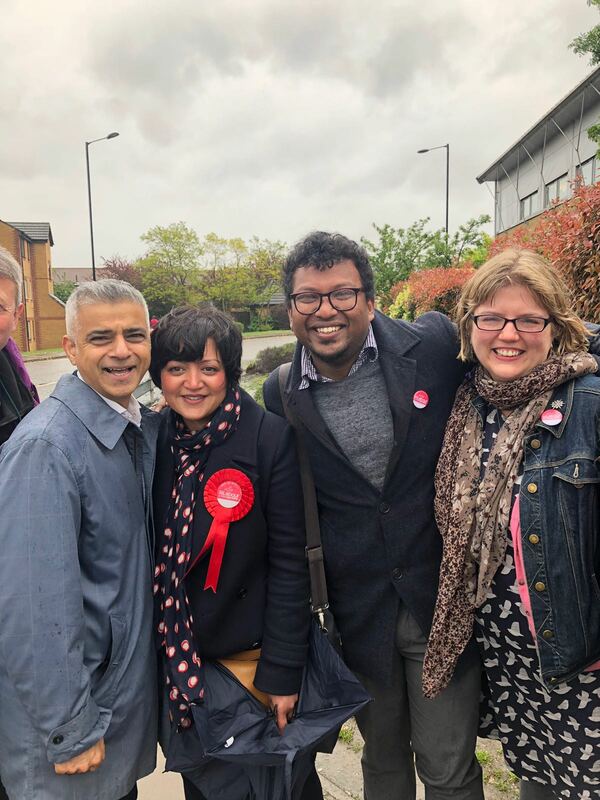 Last Thursday was the local election, and the residents of Forest Gate North voted overwhelmingly for me and my Labour colleagues. I’d like to thank everyone who voted for me, I appreciate every single vote, and will work as hard as I can to deserve them. I’d also like to thank everyone who voted for Rokhsana Fiaz to be our new Mayor of Newham. 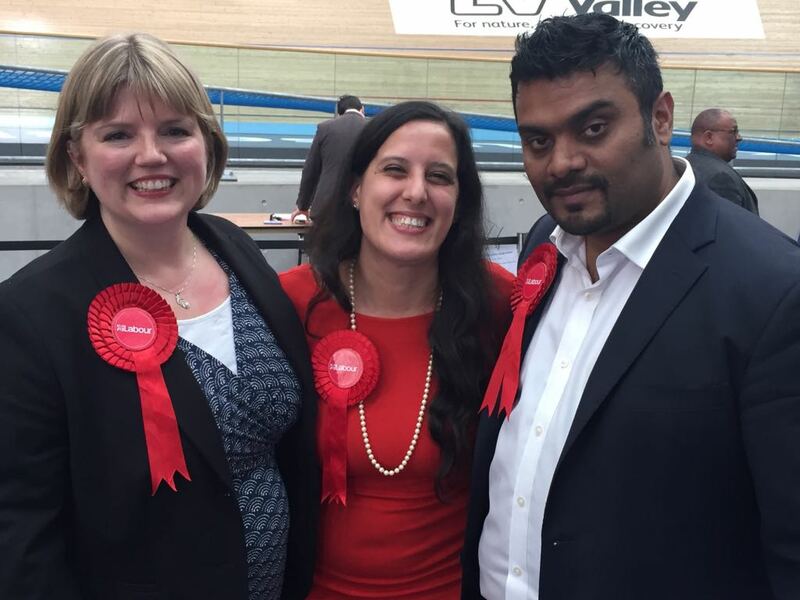 Her share of the vote was around 73%: an overwhelming mandate for her policies and her vision for Newham. 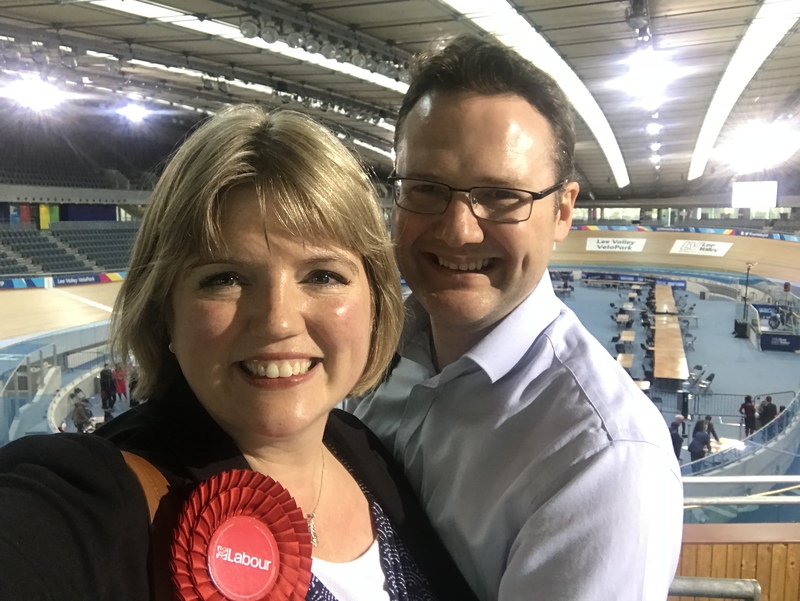 At the velodrome after the count and results. A very pleased me, and a very relieved husband. I am also touched and pleased by all of you who contacted me to congratulate me – whether by text, on social media, or in person as you passed me on the street. Local politics can difficult but I have felt genuinely uplifted by so much positivity from local residents, and am really optimistic about the new administration under Rokhsana’s as Mayor. Out in West Ham ward with Sadiq Khan, Rokhsana, and Rohit das Gupta (newly elected councillor in Canning Town). We know that the hard work (re) starts here: we’ve been out and spoken to many residents as we were campaigning, but we’ll keep on door knocking and speak to as many people as we can, finding out what you like about living here, what you would change, and how you think we can work together to make things better. Rokhsana is really passionate about involving residents, in working together to find solutions, and making us into an organisation that really reflects the people we are set up to serve, and I know that Forest Gate residents are up for that challenge! I’m also aware that although our majorities were overwhelming, there are still many residents who voted for someone else, or who did not vote at all, and I’m here for you too, whether to pursue your casework, or to take forward your views, or in any way you need me.